Celebrating 10 years of TV on the Radio's Dear Science,. Plus a song to get us ready for New Order in Honolulu next week (10/5), and some new music from Prince, The Olympians, Durand Jones & the Indications, The Mackrosoft, Suede, Roosevelt & more. 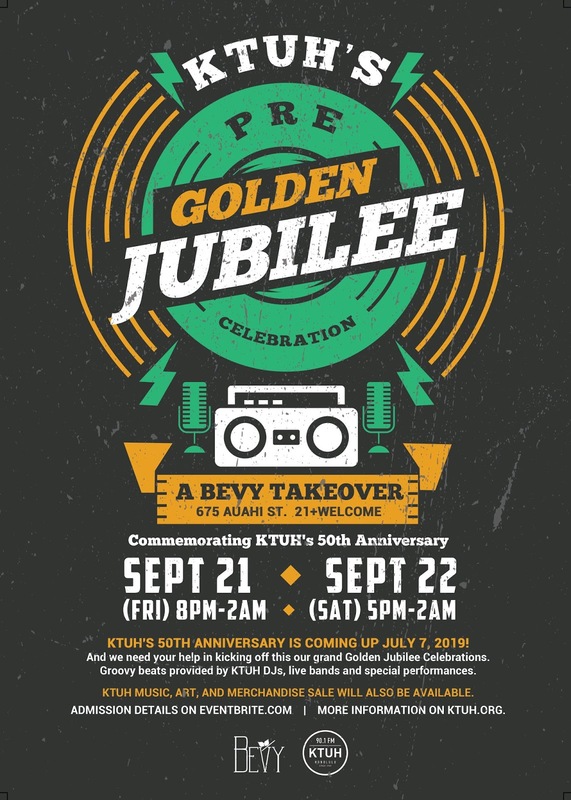 KTUH is celebrating its 50th Anniversary early, and we are kicking off with a takeover at Bevy tonight (Fri, 9/21) from 8pm to 2am, and Saturday night (9/22) from 5pm to 2am. There will be live performances from Ragamuffs, Random Cowboys, and Common Dandies on Saturday night. KTUH DJs will be spinning music on both nights. Full lineup can be found at ktuh.org or on Facebook (at KTUH Honolulu). On the live circuit, Of Montreal will be performing at Hawaiian Brian's Social Club on Thurs, September 27, and New Order will be performing at the Neil S. Blaisdell Center on Friday, October 5. New music this week from Kandace Springs, Count Basie Orchestra, DJ Okawari, Richard Swift, clammbon, The Field, Disclosure, Digitalism, Shinichi Atobe & more, plus a mix session in the last half-hour. A couple of songs by Mac Miller as we pay tribute, and more new music by toe, Lucinda Chua, Phony Ppl, The pillows, & more. Sharon Jones & the Dap-Kings - How Do I Let a Good Man Down? A couple of September songs to bring in the new month, plus new music from Flamingosis, Tia Brazda, Jake Shimabukuro, Mowgli, Mitski, The Beths, Pomo & more. The Natural Four - Can This Be Real?